I have decided that I would join two posts together this week and include my Sunday Snap plus a few blogs I am loving. This photo was taken the same time as my stationary photos from yesterdays post. 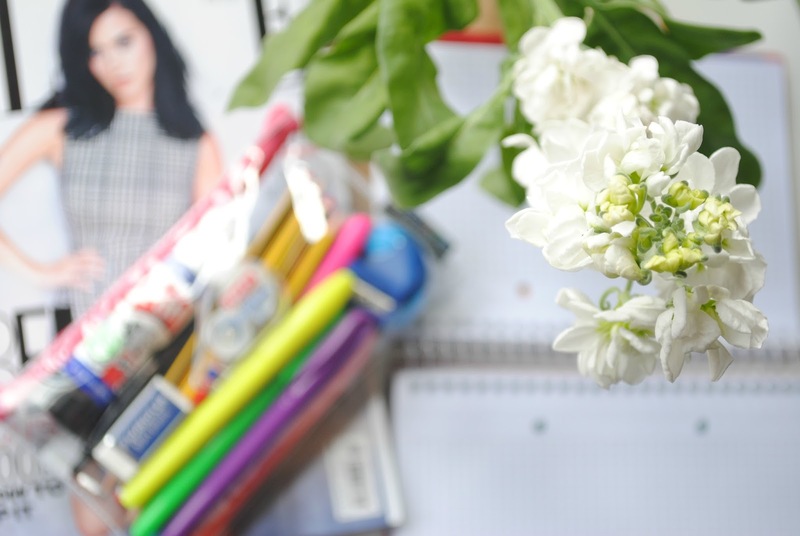 I have focused in the flower and blurred the pencil case. Recently I have been organising my Bloglovin' feed and have been putting my favourite blogs that I read everyday into a special folder. I love reading other people's posts on their favourite reads so I thought it was about time that I shared mine with you guys. I am not going to mention any of the bigger blogs because everyone knows them and more than likely reads them already and I want to share the blogs you are less likely to hear off. Have a great Sunday and if you want to leave your blog link or one of your favourite reads then please do I would love to check them out. I love posts like this, I will be checking out these blogs now :) Always love finding a new gem! Popping by from the #lbloggers chat, I'm your latest follower!